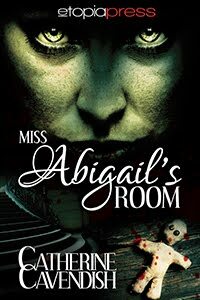 Becky’s mind wandered to Miss Abigail’s room. She pictured the wax doll, lying on that bed. What was it doing now? Was it sighing? Or maybe moving? She pulled the sheet over her head. Gah. I want to pull a sheet over my head. Dolls creep me out. whoa, this sounds creepy! Great job! Thank you for dropping by, Eleri and Angela! This sounds spooky and the cover is awesome. I am so looking forward to reading this one! (Shivers) OK, well done because *I* am spooked! Terrific six! Thank you for your lovely comments everyone. Glad I scared you!